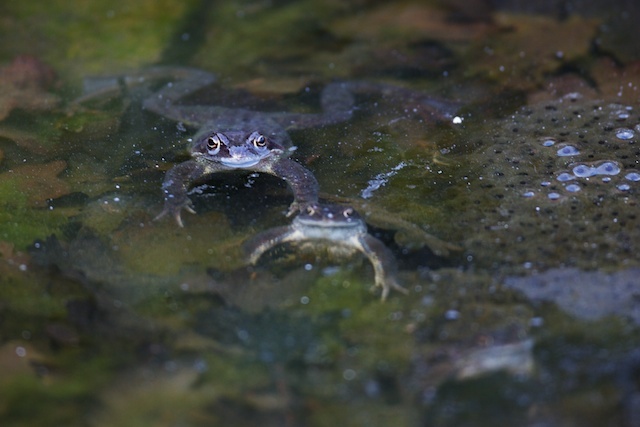 With the ice of the pond it is time for the frogs to take centre stage. 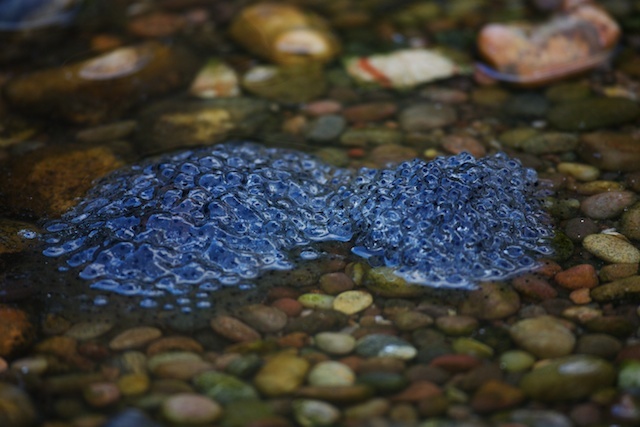 There seems to be more frog spawn this year than I have seen before. Though only a small pond I have counted over eight mature adults. 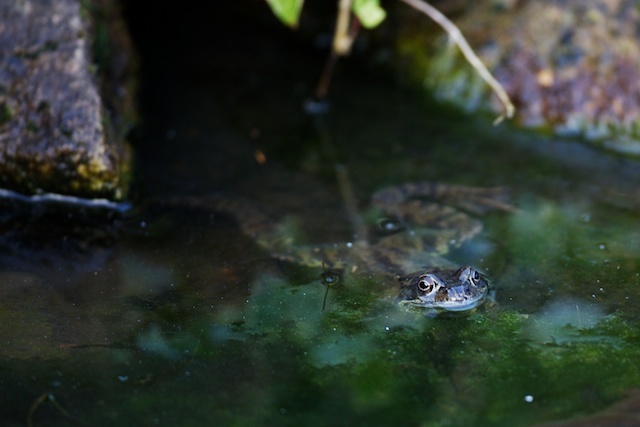 However as soon as bird flies over or I move they are down below the leaf litter at the base of the pond. 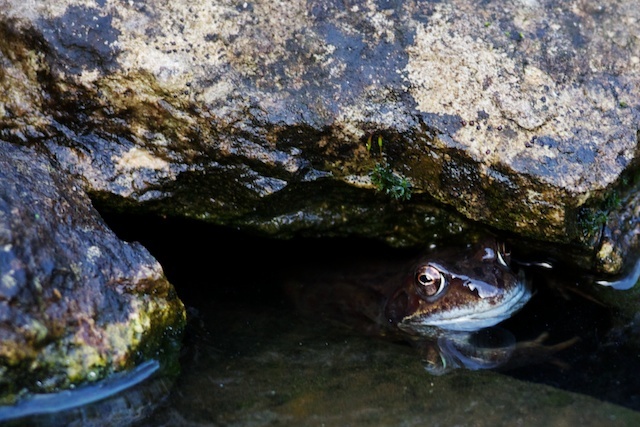 Occasionally they will peak out from amongst the rocks to see who is about! Whos that looking down at us looking up at him?